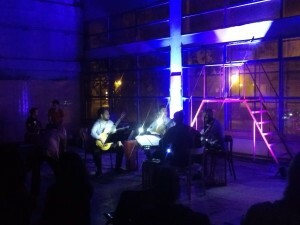 The picture above, is from my performance in Thessaloniki, Greece, in collaboration with the Centre for New Music at the Aristotle University. 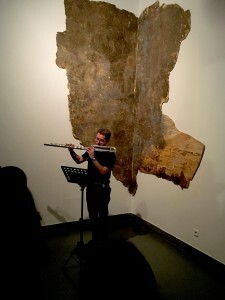 Supported by ERASMUS, my exchange was a masterclass for flute players and composers, and a concert featuring a new programme Mythologies: works by Billone, Williams, Croft, Murray and my own Blodeuwedd. Shortly before this, I was premiering new work by Andy Lewis, Tristan Rhys Williams and my own work in the Bangor Music Festival. Upcoming collaborations include working with Vertical Dance for their Yn y Golau project, and another performance of Andy Lewis’s Earthline in April, both in Pontio, Bangor. This year closes with a visit to Argentina to one of the most intensive and interesting new music events I have performed in, established by the composer José Manuel Serrano. I was invited to the Distat Terra Festival and Academy, to give solo performances, teach and a guest performance with the Quasars Ensemble, performing Ivan Buffa’s Tvorivý duch for two flutes and ensemble. 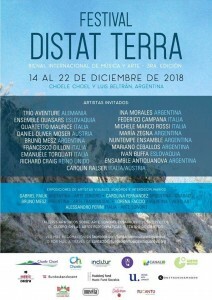 My solo appearances included works by Torá, Stewart, Barrett, Lucier, a premiere by John Croft and sharing a concert in the Chacra Experimental with the fantastic string quartet Quartetto Maurice, in which I played Salvatore Sciarrino’s solo work All’aure in una lontananza (outdoors, by moonlight!). I had the chance to hear other fantastic ensembles from Argentina including the guitar quartet Nuntempe, and the festival’s resident ensemble Ensemble Antiquanova. Upcoming: in early 2019, I will be continuing to work with Philip Thomas and Damien Harron in a performance of Feldman’s Crippled Symmetry in London, and an ERASMUS+ visit to Aristotle University, Thessaloniki, Greece, to teach and perform (the concert to include Pierluigi Billone’s Staglio). Recordings in 2019: John Croft‘s portrait disc is on the horizon and awaiting release, as is Kristian Ireland‘s luminous and Ann Cleare‘s Eyam iii. The latter will be my debut release on my own label. This Summer has been dedicated to preparing the final stages of my PhD submission, recording, and developing new repertoire for the coming year. There looks to be a new disc in the making too – it has taken some time to bring Kristian Ireland‘s luminous to the point of recording, similarly Ann Cleare‘s eyam iii for solo bass flute, both written for me in 2013. Working with my longtime collaborators, CHIARO, I hope to have the disc, which is dedicated soley to these two works, released as a limited press next year. This coming Winter I will be continuing to work with Philip Thomas and Damien Harron, performing Crippled Symmetry in York and London, and making an appearance with Explore Ensemble, and EXAUDI, giving the UK premiere of Sciarrino’s Carnaval at HCMF. In early 2019 I will be giving a concert in the Bangor Music Festival, performing new works by Andy Lewis and Tristan Rhys-Williams at Bangor University. Other new pieces in my repertoire this year include Ligeia by John Croft, an arrangement of Orphée-Le bestiaire cycle for instrumentalist-reciter by Núria Giménez Comas, and Ajax by Max Murray, alongside Pierluigi Billone‘s epic Staglio for solo bass flute, which is based on an ancient Greek text. 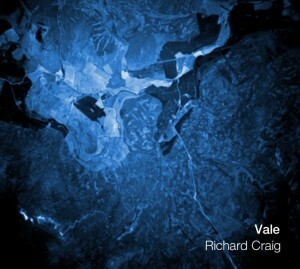 As we go into a new year, I’ve taken the opportunity to gather some responses to VALE, my new disc, released in July 2017. During the process of making VALE, the disc took shape thematically as an answer to, or the antithesis of, INWARD, my first disc released some years ago now on the same label: VALE attempts to go back to working with the instrument in an unadorned way. The purpose being to find the instrument’s core again after living with a repertoire in which the identity of the flute had become more concerned with an eagerness to ‘make new sounds’. The repertoire on the disc is then a distillation of practice in terms of the sonority of the instrument/s and the musical focus of the playing and repertoire. Perhaps the most perceptive account of what I tried to achieve in terms of my performances and the choices I made came from the Gramophone magazine. Further reviews can be found here REVIEWS. There is also a very articulate review in TEMPO magazine, which I will write about on another occasion. At the end of 2017 Ensemble Grizzana came together again to perform and record at HCMF. Again, another very perceptive round of reviews (Spectator and the Financial Times) came from this concert, no less a new disc ‘Early to Late’ with Another Timbre featuring new works by Jürg Frey and Magnus Granberg. The CD will be released this February. After a productive Summer of performances in Sweden, Spain and the premiere/recording of John Croft’s Seirênes, this Winter includes a trip to Helsinki to work with Mieko Kanno and Alex Harker. Thanks to an ERASMUS+ scholarship I will also be discussing my work in contemporary music at the University for the Arts, Helsinki. There is a return to Alba New Music in October to give a solo concert, and to HCMF with the Grizzana ensemble, to perform new works by Granberg and Frey, recording both compositions for Another Timbre. Early in 2018, I will be running a workshop on improvisation and electronics as part of the Estalagem da Ponta do Sol Residency – any performers interested in participating should refer to the website linked, and are welcome to write to me for more information. The workshop will be focussed on how electronics shape an improvisation from a compositional perspective. As part of this workshop I will be discussing Rodrigo Constanzo‘s brilliant work with live electronics, and looking forward to working with him again on a new project. Lastly, plans are afoot to tour Feldman’s Crippled Symmetry in 2018 with Philip Thomas and Damien Harron. 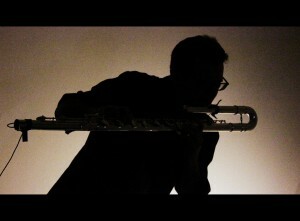 The Summer period brings the release of new recordings and concerts in Sweden, Spain and London. VALE (2011 – 2017) has been an ongoing project for some years now, and finally ready for release on the métier label. The disc contains world premiere recordings of Barrett, Croft, Pauset, Johnson, Fitch and Järnegard, performed by myself, Distractfold and the soprano Cora Schmeiser. The release date is provisionally the Summer of this year. Another work which stems from this period is Kristian Ireland’s luminous for solo alto flute. I have performed luminous several times now, and as of April, recorded the work for a release in the near future. I will be performing luminous alongside Ann Cleare’s eyam iii (if it’s living somewhere outside of you) at the Kalv festival, Sweden in August. February and March brings some new repertoire and appearances at concerts in the UK and Ireland. 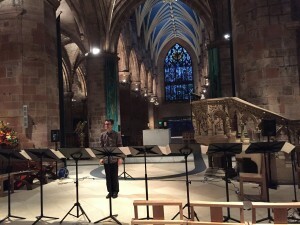 This will be my first appearance at the Bangor Music Festival/ElectroacousticCYMRU with the soloist Juliet Fraser where I will be performing Gérard Pape’s Two Electro-Acoustic Songs as well as Patricia Alessandrini’s Esquisse d’apres Artaud, John Croft’s Intermedio I for solo bass flute and electronics and a work by a Bangor University colleague, Jesse Ronneau. 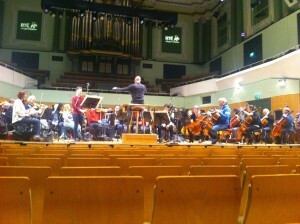 There will also be a world-premiere of a newly commissioned piece by Gareth Hughes too in the programme. Earlier that same week I will be in Ireland working with the RTÉ orchestra performing Ann Cleare‘s eyam v for contrabass flute, contrabass clarinet and orchestra. Finally, in March I will be at Liverpool University’s Open Circuit Festival. I am collaborating with Matt Fairclough and students at the university to develop new pieces, which will be premiered in a concert on the 27th of March. Repertoire includes an adaptation of Steve Takasugi‘s The Flypaper, as well as works by Ronneau, Croft and Luc Ferrari. The teaching year at Bangor University has now come to a close, with some superb performances from the students. There are still opportunities to study performance at Undergraduate and Post-Graduate at the University. Any enquiries regarding funded PhD places, please contact me here for further information. 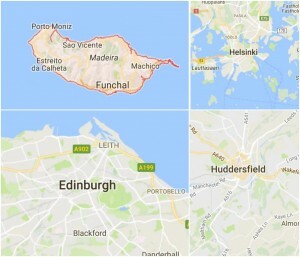 In the months ahead there are several exciting projects. I will be making a visit to Perm, Russia, with the SMASH ensemble, performing works by Russian and Basque composers, and later in October I will be in the US (Boston and New York) working with Steve Takasugi on a version of The Flypaper. In November I will have a two day residency in Huddersfield University to talk about my own work, give a seminar and a concert (notably of David Pocknee’s new work/installation for flute, video, and live video). November also sees me making a trip to Aberdeen, performing at the SOUND festival, giving the UK premiere of Gérard Pape’s Two Electro-Acoustic Songs with the stellar Juliet Fraser. 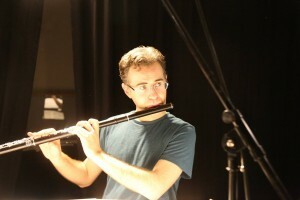 The concert will include a newly commissioned work by Patricia Alessandrini for voice, flute and live electronics. Over the past months I have been working on a paper for Musicology Research about my experiences with Evan Johnson’s solo bass flute piece émoi and, at long last, the final recordings from my new solo disc will soon be in the hands of Métier. Thanks to contributions from Distractfold alongside John Croft‘s expertise as sound engineer, the disc will be available early 2017.